Made with 100% apple juice and at 7.5% volume this Traditional Cider sounded like a proper corker! I popped open the 500ml bottle to the fresh strong smell of cider apple. This still cider poured into my beer mug smoothly but almost bit at me once I'd taken my first long swig. The alcoholic strength of the cider apparent with the mix of flavours from a range of apples, which had been fermented with wild yeasts to produce a kick like an apple cart bouncing over a pot hole at the end of each mouthful. My nose hairs literally standing on end. Certainly a full bodied flavoursome treat here with no room for the weak hearted cider fiends who look for a quick fix behind the bike sheds in a rusty can. 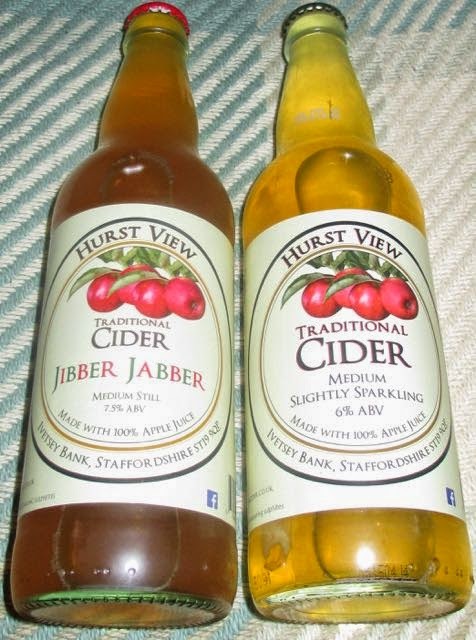 A craft traditional cider for the craft traditional cider drinker!